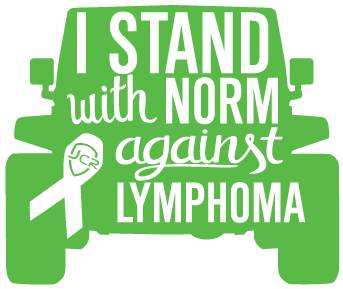 Brian’s Dad Norm was recently diagnosed with Non-Hodgkin’s Lymphoma. He is expected to have a full recovery because of the continued research happening every day to battle all types of cancer. Donate here* to help Lymphoma Research and you will be entered into our JcrOffroad Online Open House Giveaway featuring an Axial Racing SCX10 Rock Crawler, TruckLite 5 x 7″ LED headlights, plus a $500 JCR gift certificate. Every $1 donated will be an additional entry into the giveaway. We will also send you an “I stand with Norm” decal if you provide your mailing address. *Every cent you donate will be given to the Lymphoma Research Foundation, as these giveaway items were all donated to this cause by their aforementioned companies.